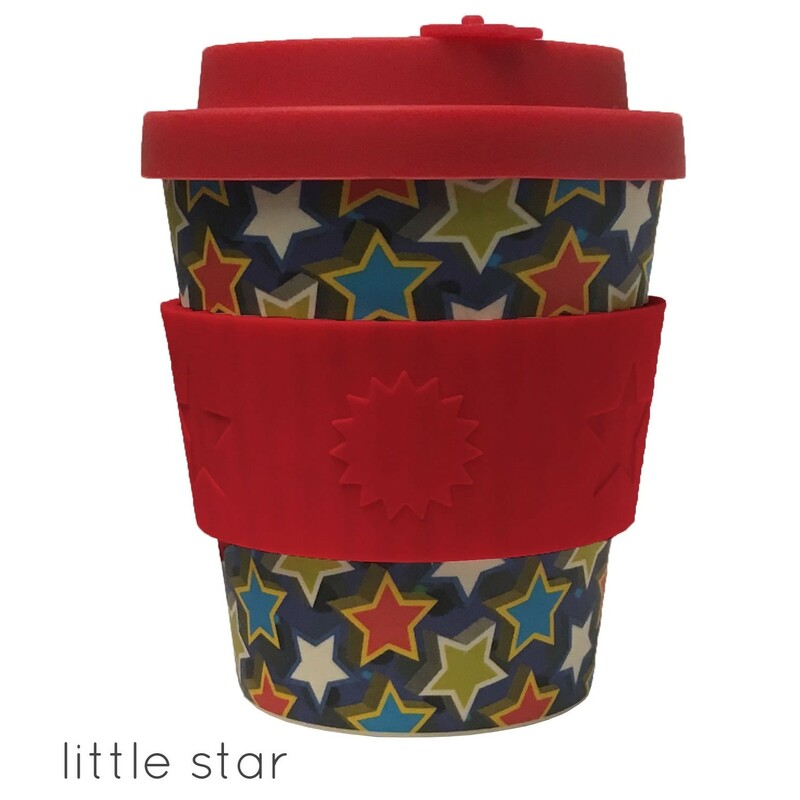 These 8oz Ecoffee reusable cups are a great size for a short hot drink and for children too. Ecoffee bamboo cups come in a range of gorgeous designs are a stylish alternative to single use takeaway cups and are guaranteed to stand out from the crowd. 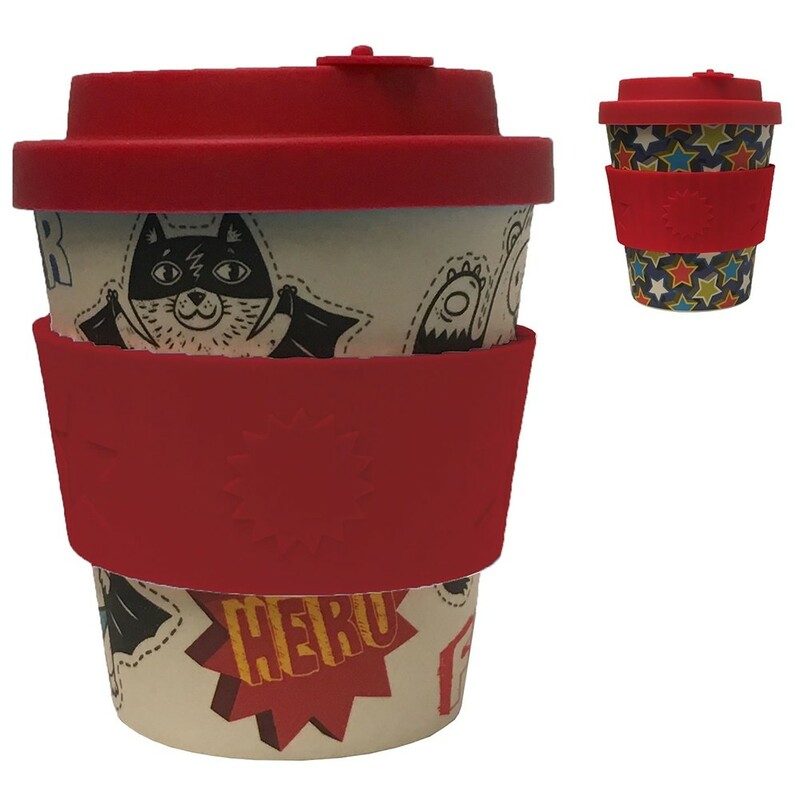 With millions of takeaway cups finding their way into landfill each year, why not make a small change and carry a stylish reusable Ecoffee cup in one of these fabulous patterns. Ecoffee cups are super strong, durable and long lasting they’re responsibly made from sustainable bamboo fibre, one of the planet’s fastest growing and sustainable resource. 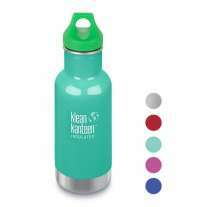 The bamboo is combined with corn starch and mixed with food grade resin to form a cup that will withstand high temperatures without affecting the taste of your drink. 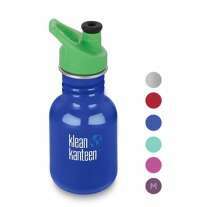 The 'no drip' lid is made from food grade silicone and is completely BPA, phthalate and toxin free. 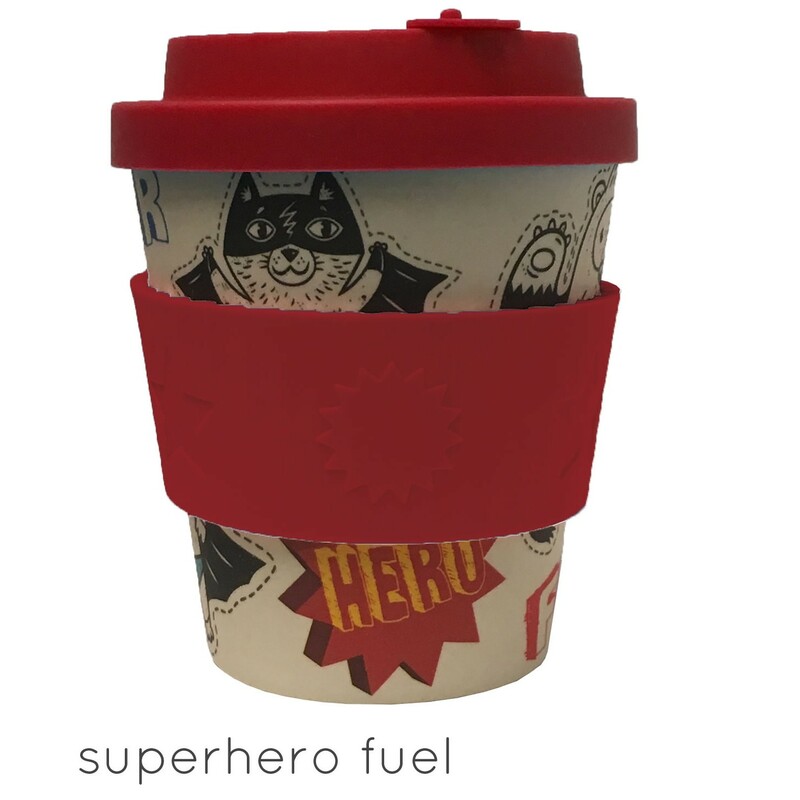 Ecoffee Cup was founded in 2014 by David McLagan with the aim of creating a stylish, highly practical alternative to single use plastic cups that people will want to use again and again. Ecoffee Cup create reusable cups made from biodegradable, organic bamboo fibre and non-GMO corn starch. 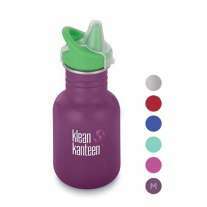 Their cups are all dishwasher safe and perfect for taking out and about.